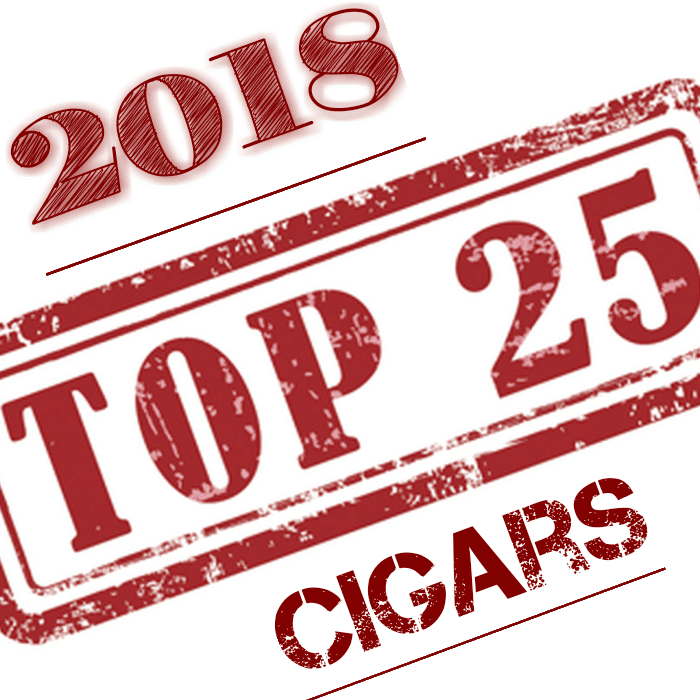 So you now know how the list starts with cigars number #21 to #25, now lets take a bigger bite out of this top 25 and disclose our next section, #11 to #20. Sit back, grab a smoke, and read about some of the cigars you should try next! One of our absolute favorites from the RoMa Craft line, this has quickly become a regular in my go to rotation. The SGP vitola (4.25 x 52) is the perfect size to pack in all the Neanderthal’s rich and complex flavors. The Neanderthal SGP features a unique flat cap not traditionally seen which creates almost a game to be played with how to cut it. Cold draw notes of sweet chocolate and earthy flavors radiate from, yet another San Andreas wrapped cigar. Once lit the semi-sweet chocolate dances delightfully around rich savory notes of leather and further complimented by poblano peppers, with a black pepper retro hale. The SGP features several different tobaccos including the aforementioned Mexican San Andres wrapper; and fillers from Nicaragua, Dominican Republic and Pennsylvania broadleaf. 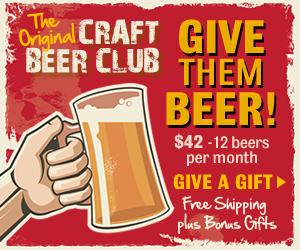 The Neanderthal SGP retails at an affordable MSRP of $9, and will quickly become a favorite of yours I am certain. This may or may not be the only AJ Fernandez cigar on the list but I can say this, this cigar is oh so tasty! The La Amistad Silver is the second release in the La Amistad line following last year’s Hoya La Amistad (Gold Band). This beauty is full bodied and packs all kinds of wonderful flavors including cocoa, spice, cedar, and hints of earthy notes. The draw and burn were just so spot on. Add all that with a very reasonable price around the $7-$8 mark (3 sizes available) and you got yourself a winner here! So this isn’t your everyday Don Pepin and from the cigar box to the coffin that the individual cigar comes in, you can tell that right away that you are in store for a special cigar! Each tobacco that was used in this special anniversary cigar was hand selected by the Garcia family and aged to their specific standards to make sure it was exactly how they wanted. This wonderful smoke is a Nicaraguan puro with a Habano Oscuro wrapper and features notes of rich spices, sweetness, a little bit of leather, and a little bit of earthiness that just leaves your savoring every puff. Ashton VSG (or Virginia Sun Grown) is just one of those cigars that every time you light up, you remember just how much you enjoy smoking a premium cigar. With a Ecuadorian Sun Grown wrapper and binder and fillers from the Dominican, the VSG delivers a spot on smoke time and time again and with 12 different sizes, you will find one that will fit your preference. You will enjoy smooth flavors from start to finish but is also nice and hearty as well. Pepper notes along with notes of caramel and a little nuttiness are some of the more prominent flavors that will hit your palate. This is a cigar that you don’t see on a lot of top 25 lists but I can guarantee that if you ask any person about their top 10 cigars, chances are good the Liga #9 is on their list. The strong earthy notes accompanied by hints of coffee and chocolate just make this cigar a wonderfully bold smoke. Strong on flavor and strong on strength helps make this cigar the true heavyweight that it is. 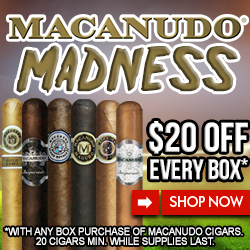 You really can’t go wrong with this cigar and with demand always high, this cigar needs to be in your humidor, even if for just a specialty smoke! 2018 marked the third release of the Crux Limitada IPCPR, being an exclusive annual release for the IPCPR trade show in Las Vegas. We personally have always thought that some of the coolest traits of this cigar include beautiful aesthetics from the signature Crux Marblehead cap, to the extravagant band that oozes old school Las Vegas nostalgia. As for the cigar, the Limitada IPCPR is chalked full of rich sweet flavors. From milk chocolate, maltiness and toffee, being rounded out by hints of nuttiness, espresso and a bit of peppery spice. The smoke is thick and billowy and will leave you sitting in a cloud of happiness. The Limitada IPCPR is offered in one vitola: Cuban Box Pressed (5 x 52) and MSRP of $11. So many of us brothers and sisters of the leaf are familiar with the Cuban. It’s in movies, tv shows, music videos (shockingly still a thing) and when you say cigar, for many, that is synonymous with Cubans. Well sliding into the number 14 spot is the Juan Lopez Seleccion No. 2. This is not what your normally hear about when you hear of Cuban cigars. You hear of Montecristo, Cohiba, and Hoyo De Monterrey. However, don’t let that fool you as this is a WONDERFUL Cuban cigar at a very reasonable price (around $11.00). The cigar burns perfectly, has nice fluffy smoke, and comes with the lovely flavors that we know and love in a Cuban cigar such as floral notes, a light earthiness, and very light citrus flavors. This is an underdog in the Cuban cigar world but as we know, you can’t count out the underdog. So, this Tabernacle is the follow up cigar from Foundation Cigar and is a modified, and in our opinion, upgraded version of the original 2016 release. This cigar is special as it has a Cuban seed wrapper grown in the Connecticut River Valley and is oily and so delicious! The rest of the cigar is made up of a Mexican San Andre’s Binder and fillers from Nicaragua and Honduras. When you see this dark and beautiful cigar, you would expect boldness and flavor bombs, which is exactly what you get. Strong notes of leather, spice, cedar, and a hint of chocolate will leave you in a place of bliss, your own personal Tabernacle as you say thank you to the cigar gods. If you are a true brother or sister of the leaf, you know that when you grab a Davidoff, you are going to get a quality cigar. While this cigar may be one of our pricier choices, we can tell you that it is well worth every single penny. This is not your normal super smooth and creamy Davidoff but packs a little more punch, just like Winston Churchill himself did. The Late Hour features Nicaraguan fillers that are aged in single malt scotch barrels for 6+ months and a Habano Ecuador Wrapper that not only looks stunning but brings some amazing flavors as well. With notes of sweetness, pepper, leather, and wood, this medium full smoke it the perfect cigar to pair with a nice whiskey and bourbon as you plan your attack on the following day. This entry was posted in Cigar Industry News and tagged #brotheroftheleaf, #crux, #sisteroftheleaf, aj fernandez, arturofuente, ashton cigars, Ashton VSG, botl, cigar smoker, cigar world, cigarafficianado, cigarlife, cigarlifestyle, cigars, Cuban cigar, davidoff, Don Pepin Garcia, Drew Estate, juan lopez, Liga Privada, Romacraft, sotl, tabernacle. Bookmark the permalink.